I’ll be honest, reviewing Hyrule Warriors was tricky. Writing about a Zelda game is always a daunting task because the series is so revered, each new entry is a more massive undertaking than the last, and critically comparing a new Zelda game to all that have come before is like solving an equation with at least a dozen variables. Not that I’m complaining; reviewing a new Zelda game is always an invigorating challenge. But Hyrule Warriors is a different challenge altogether. A crossover, or rather, mashup of The Legend of Zelda and Koei-Tecmo’s Musou series, Hyrule Warriors is an odd beast. The Musou Dynasty Warriors series is already an oddity; a highly popular yet also polarizing spinoff of Romance of the Three Kingdoms, Dynasty Warriors began as a Playstation One fighting game but quickly carved out its own uniquely Japanese niche in the beat-em-up genre. There’s a certain bias among game critics against the Dynasty Warriors series, ostensibly for the games’ rather repetitive, so-called “mindless” nature, but as I learned it’s not quite that simple. It really can’t be that simple if the Dynasty series has sold a cumulative 18 million units. I never played a Musou game until Hyrule Warriors so I didn’t really know what to expect. 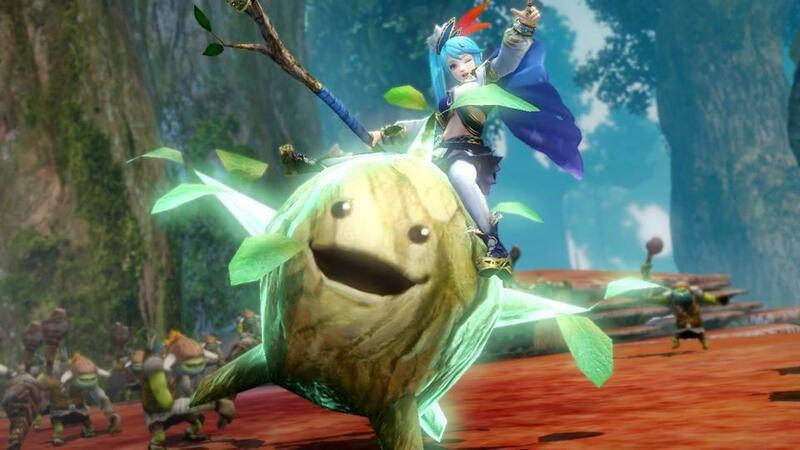 What I discovered is that it is very, very difficult to write objectively about Hyrule Warriors. 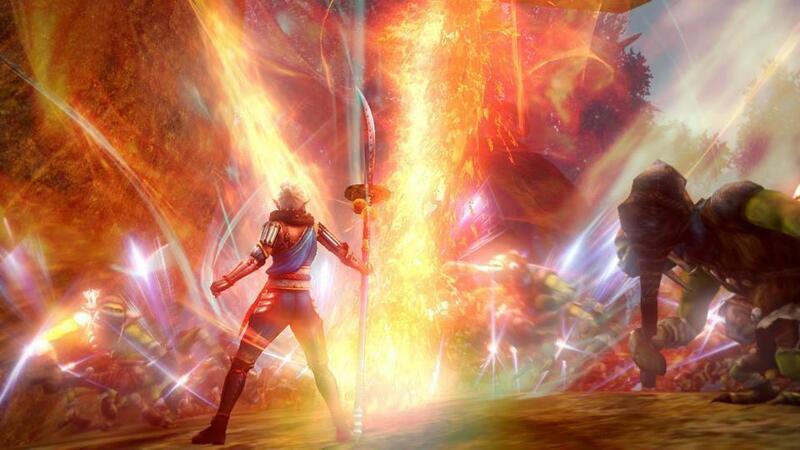 The game has its flaws of course, but if you’re a fan of Zelda or Dynasty Warriors—or better yet—both, those flaws won’t matter in the slightest. The game is such a sumptuous fanservice feast for devotees of either series that they won’t be bothered much by Hyrule Warriors’ shortcomings. It’s not entirely accurate to call this game a crossover, because it has nothing to do with any of the Dynasty Warriors stories or characters, the Romance of the Three Kingdoms or anything related to the Han Dynasty. In terms of story, plotting, characters and aesthetics, Hyrule Warriors is pure Zelda. In this regard, I was absolutely hooked. The game’s story starts in the kingdom of Hyrule in some distant corner of the complicated Zelda timeline. Princess Zelda rules the land as usual, with her bodyguard/handmaiden Impa close by. The archetypal hero Link is a humble recruit in the Hylian army, performing combat training when magical portals open throughout the kingdom and loose vast armies of monsters on Hyrule. Link, Zelda and Impa spring into battle with the Hylian army and manage to drive back the assault on Hyrule Castle, but at the end of the battle Zelda is missing and the heroes are at a loss about what to do. As they search for Zelda, Link and Impa team up with the mysterious Sheik and rescue a young sorceress named Lana. Lana explains that a supreme wizardess named Cia, who was entrusted with guarding the holy Triforce relic, has been corrupted by Ganondorf. Link’s ancient nemesis had his soul split into four pieces across the Zelda timeline, so he’s influencing Cia to collect his pieces and reassemble him so he can seize the Triforce once again and take revenge on Hyrule. This explains the monsters pouring in from all directions; Cia has opened time portals to various eras in the Zelda timeline, summoning the disparate armies of moblins, stalfos, re-dead zombies and other creatures and bosses that the various incarnations of Link have defeated in previous games. Grateful for the explanation and the help, our heroes join Lana in a time-traveling quest to find Zelda, enlist heroes from each age of Hyrule and ultimately defeat Cia and the newly resurrected Ganondorf. The story may seem convoluted but for a longtime Zelda fan like me, it’s fanservice nirvana. The game not only introduces a new version of Hyrule, but also has our heroes exploring three of the best previous “eras” in the series’ history: Ocarina of Time, Twilight Princess, and Skyward Sword. In the grand tradition of Marvel and DC comics crossovers, this basically serves as an excuse to have the ultimate Zelda team-up event, with the new heroes meeting and recruiting the best characters from each game; a Zelda Avengers, if you will. This means that every couple of levels you’re meeting classic characters like Zora Princess Ruto, Goron Chief Darunia, the mischievous Twilight imp Midna, the creepy-but-cute bug collector Agitha, and Fi, the incarnation of the Master Sword. Even better, these characters all become playable once you meet them. This way you get a steady drip of new characters for the roster, each with their own signature weapons, powers and fighting styles. The Zelda series doesn’t get enough credit for its huge cast of memorable and eccentric supporting characters, and Hyrule Warriors is a chance for many of them to really shine. Each new location you visit is also recreated from previous games, from Ocarina’s Death Mountain to Twilight Princess’s vast Hyrule Field, and even the floating city of Skyloft from Skyward Sword. So, Hyrule Warriors is a chaotic, fanservice-packed crash course through the Zelda series’ best entries and characters. But how does it play? Well, in that regard the game is Dynasty Warriors through and through. That might make some longtime Zelda fans uneasy, but the fusion of Zelda story, characters and trappings with frantic Musou arcade-style action works better than I could have hoped. After all, Shigeru Miyamoto himself refocused Hyrule Warriors halfway through development to play more like Dynasty Warriors, and the guy typically knows what’s best for the series he created. 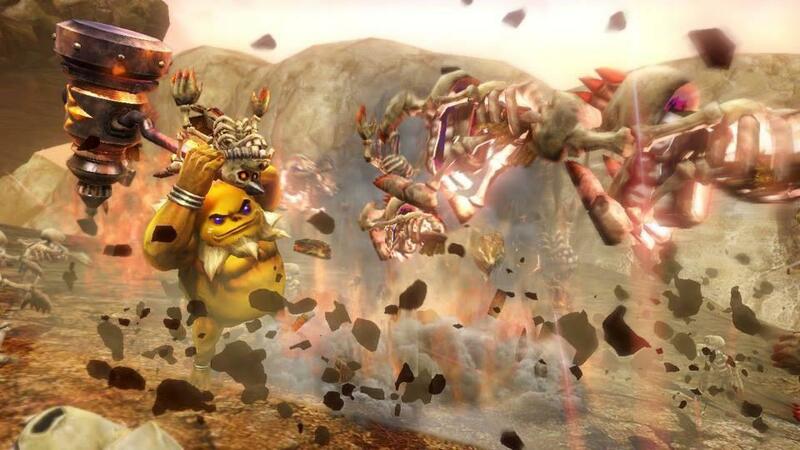 Hyrule Warriors is broken up into three main modes: Legend, Adventure, and Challenge. Legend mode is the meat of the game, where you progress through a lengthy, branching story campaign that follows the characters as they split up, explore various eras of the timeline and ultimately team up again. As in Dynasty Warriors each level is played on a huge map with dynamically shifting objectives, allegiances and win/lose conditions. 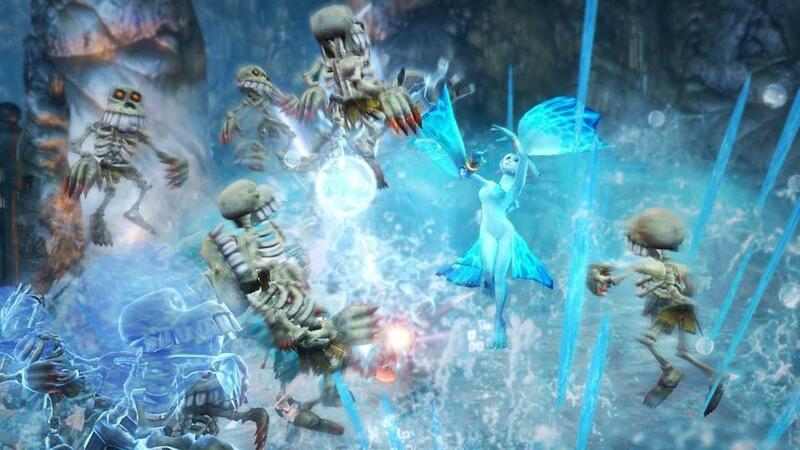 While missions vary, the basic gameplay remains consistent: Hyrule Warriors is at its core a game of territory control and conquest. Each map is broken up into control points—small outposts and bigger keeps—and as you capture these points you gain access to new sections of the map and push the enemy forces back. This process can be as simple as killing the outpost captain--a stronger enemy unit clustered by smaller minions—or it might involve taking out huge crowds of enemies in a keep until the local keep boss appears. Taking any capture point thins out the huge swathes of small ankle-biter enemies and spawns friendly soldiers and units at that point to hold territory. Taking the more important keeps will also spawn an item chest, containing mystery weapons, heart pieces, or iconic mission-critical items like bombs, bow and arrows or the gale boomerang. Having never played a Dynasty Warriors game before, this gameplay framework reminded me a lot of Star Wars Battlefront. That said, it’s a lot more dynamic. Objectives can change at a moment’s notice, allegiances can switch mid-level, and each map usually ends with a health-grinding battle against a gigantic boss. Simply upon entering the first mission, I was struck by how unlike-Zelda this game was. You are immediately confronted by massive contingents of dozens, sometimes hundreds of enemy soldiers, whereas in previous Zelda games Link would battle half a dozen enemies at most. Zelda games have referenced epic infantry battles and far-flung wars, but we’ve never gotten to see the Hylian army or its legendary heroes in action like this before, facing an unending force of enemy soldiers. It can be tempting to just experiment with your current weapon’s attack combos and endlessly massacre these waves of puny enemies. Indeed, I shook my head and laughed in disbelief the first time I saw some of the insane combo moves that Link, Impa or Lana could pull off. 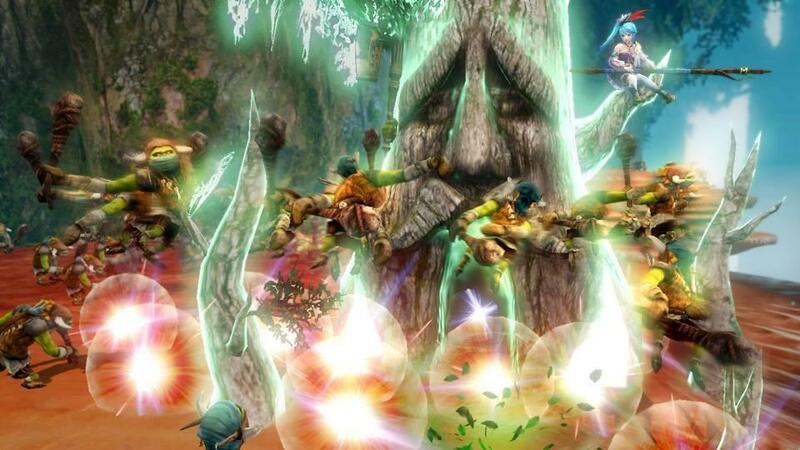 Link’s whirlwind attack is crazier than it was in Wind Waker, and Lana’s special move makes the freaking Deku tree erupt from the ground and send dozens of bad guys flying. Indulge in bloodless carnage for too long, however, and you’ll be staring at defeat. Taking territory is crucial, because if the encroaching enemy units capture your base camp it’s game over. Just when you think you’ve sent the enemy hordes packing, you’ll run up against a boss like Volga, King Dodongo or even Midna. The game’s Dynasty Warriors roots really become apparent in these boss encounters. They’re long, grueling and take careful timing and accuracy. You can wear a boss down by just spamming your stronger attack combos, but that will take a very long time. If you manage to dodge a boss’s strong attacks, however, they’ll present a weakness in their guard that you have to be extremely quick to break. In fact, this “weakness meter” vanishes so quickly during the harder boss fights that it almost seemed unfair. 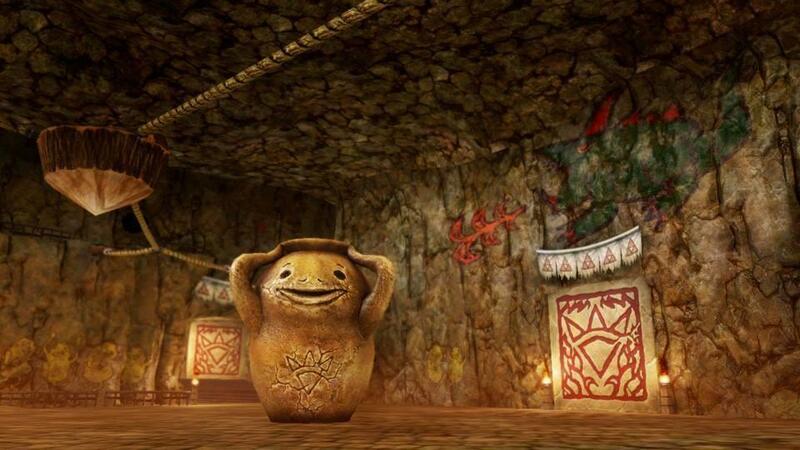 In between missions you can visit the bazaar, an all-inclusive shop that lets you upgrade characters and equipment. As you defeat stronger enemies you’ll collect materials, and these can be used in the bazaar to craft badges and potions. Badges confer permanent bonuses, like new weapon combos and special abilities, while potions can be used on-command in a level to generate a specific effect or restore health and magic. You’ll also collect weapons from bosses and chests, and the bazaar’s weapon smith can fuse two weapons with disparate strengths into one that does greater damage and also confers element-based bonuses. The bazaar adds another layer of RPG complexity to Legend mode, so it’s always a good idea to stop by between missions and level up characters and equipment. All of this combat, attrition and leveling may sound repetitive and I’m the first to admit, to a certain degree it is. The game has a very arcade feel to it, again like Star Wars Battlefront or the sadly misunderstood ground-based missions in Star Fox Assault. That said, this drastic shift away from standard Zelda series gameplay just didn’t bother me. Maybe it’s because I went in fully expecting Hyrule Warriors to be a different kind of game and just accepted it. In any case, I got sucked into the conflict, and the fact that each new level and beautifully rendered cutscene explored an element of the Zelda canon eased the repetition considerably. If you let go of your stalwart preconceptions of what a Zelda game must be and just go with it, Hyrule Warriors is an immensely enjoyable experience for a Zelda fan. All of the gameplay mechanics and elements from Legend mode carry over into the other half of the game, Adventure mode. Highly reminiscent of Soul Calibur’s Mission mode, Adventure plays out on a giant world map. However, this map is styled after the overworld from the original Legend of Zelda on the NES, complete with a retro title screen and 8-bit sprite animation. Each level in Adventure mode has simple, discreet objectives: kill x number of enemies, defeat this boss under the time limit, etc. The retro overworld map isn’t just for nostalgia, though—by interacting with the map as you would in the original NES game, you can unlock bonus objectives and paths in various missions. For example, beating one mission will give you a badge that looks like a bomb or the candle item from the NES Zelda. You can then use this badge on the map to burn a shrub or blast open a wall, revealing a secret passage and activating a bonus in that mission you otherwise wouldn’t be able to access. Adventure is a surprisingly deep companion to the main campaign and can even unlock new weapons, items and materials for use in Legend mode, so it’s well worth taking a break from the story to check out. The last main segment of the game is Challenge mode, and arrives in a day-one patch. As the Nintendo Treehouse team described it, Challenge is like Adventure mode on steroids. It strips out the story, retro map and any other superficial content and distills the gameplay down into an expert course. Enemy outbreaks spawn across a map, and you have to clear them out while trying to get the best time possible. Challenge mode is a nice added bonus for the players who have beaten Legend and Adventure modes on hard, unlocked everything and are hungry for a stouter task to conquer. I would be remiss without discussing Hyrule Warriors’ impeccable production values. 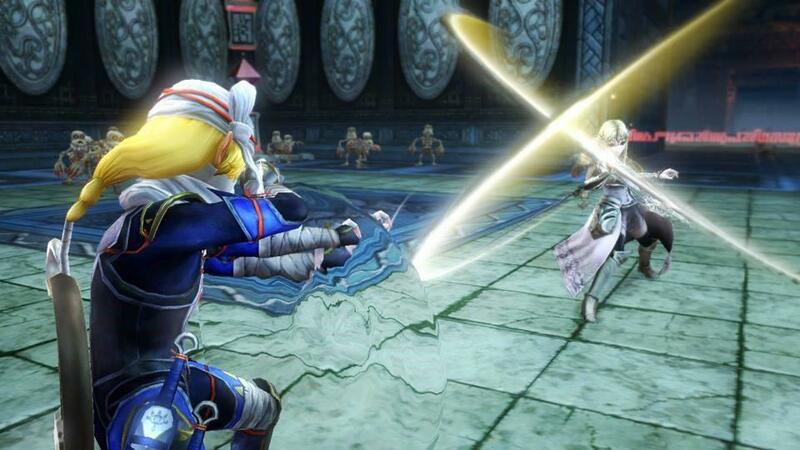 The days of Nintendo’s 480p laziness on the Wii are long over—they gave the developers at Tecmo-Koei full license to push Wii U to its limits and as a result Hyrule Warriors is truly a sight to behold. Each environment is huge and populated with vast herds of constantly respawning soldiers, both friend and foe. I was often reminded of the ludicrous quantities of monsters that the Serious Sam games throw at the player. The texture work on the levels isn’t quite as crisp as I’d like, but clearly there were some sacrifices made to keep the framerate reasonable, and with so much action happening moment to moment you don’t waste time scrutinizing the wall or ground textures. The standout of the graphical presentation is the character modeling. This is the first time for Zelda fans to see many of their favorite characters in HD, and Hyrule Warriors does not disappoint. I was struck by the subtle reflections that played through Impa’s silvery warrior braid, or how Link’s chainmail folds and rattles when he shifts his balance. The characters look incredible rendered in both the CGI cutscenes and by the in-game engine, and even though there still isn’t full voice acting, the facial animation retains the delicate emotional nuance from Skyward Sword. The insane special attacks that each character performs are the real knockouts. We’ve known these warriors are powerful, but until now we’ve never seen them really let loose like this and the sheer power and ferocity of these attacks is breathtaking. The audio presentation is just as impressive as the visuals, if not more so. Zelda fans will know every sound effect, fanfare and extraneous musical cue. Snatching a heart container from a chest to that familiar old jingle is just as gratifying as ever, and the clashes and impacts of combat will rattle your teeth. I was a bit worried about the Dynasty Warriors influence on the beloved Zelda music, but in the end I really enjoyed the new take. There’s definitely a metal influence on the music, with a surprising amount of electric guitar woven into these classic melodies, but it was strangely invigorating for me. All of the traditional musical elements are fully orchestral, and in fact I found it nostalgic and exciting to hear new takes on my favorite pieces. It was pretty cool to hear the friendly shop music from Ocarina turned into a militaristic march for the main menu music, or the peaceful Skyloft theme rescored as a driving, urgent metal riff. Of course, Hyrule Warriors is not without its issues. The inherent Musou repetition is unavoidable, so love it or hate it, it’s a part of Hyrule Warriors. The lack of voice acting made it a bit confusing to adapt to new scenarios in combat and follow instructions. I’d be battling away, and characters would start spouting exposition about an urgent new mission, but the dialogue was in a rapidly scrolling text box at the bottom of the screen. The levels are nice and big, but running back and forth to different objectives, especially while juggling control points that enemies are constantly trying to recapture, can get tedious. A teleport system at each outpost could have alleviated this. These minor annoyances aside, I really enjoyed Hyrule Warriors. I know some Zelda purists will hate it, and Musou fans will probably be unhappy that the game’s story is so Zelda-heavy. I freely admit that my love of both the Zelda series and arcade-style action probably made me biased toward liking this game. 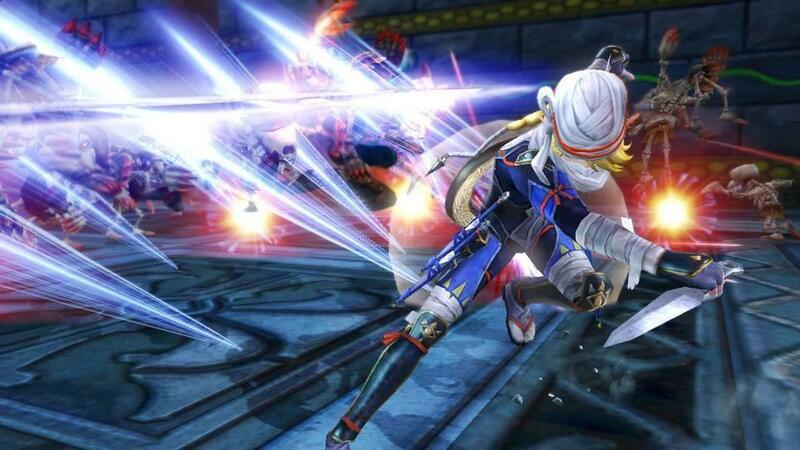 What is indisputable, however, is that Hyrule Warriors is positively gleaming with quality from every angle. The stellar production values, tight gameplay mechanics and above all the game’s confident, bombastic sense of style make Hyrule Warriors much more than a simple spinoff. If you are still skeptical, I urge you to give it a try. This Zelda fan was skeptical too, but Hyrule Warriors turned out to be everything I wanted, and I didn’t even know it. Hyrule Warriors is a different kind of Zelda game. That doesn't mean it's any less fun. Amazing production values, addictive gameplay, a rich story and an overall sense of extreme quality, polish and confidence make Hyrule Warriors much more than a mere spinoff.